“Method and the Middle English Text,” is a graduate conference at the University of Virginia April 8-9, 2016. 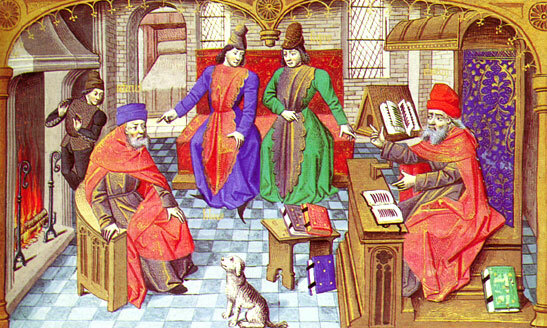 Medieval Studies is a field that has long been characterized by methodological debate, especially at the present moment. On the one hand there are those who work extensively with older methodologies such as philology, codicology, paleography, biography, and forms of historicism, materialist and other. On the other hand, there are those who emphasize newer methodologies such as ecocriticism, object-oriented ontology, new materialism, affect studies, new formalism, disability studies, queer theory, digital humanities, etc. Moreover, all of these methods increasingly register the fundamentally interdisciplinary nature of medieval studies and the problem of cloistering English, French, Religious Studies, etc. Taking even a figure as central to English literature as Geoffrey Chaucer, it is now impossible to account for his poetry without triangulating his relationship to French and Italian poetry as well as his relationship to various political or religious movements. When we turn to the material remains of medieval literature, this problem becomes even more acute. French and English romances sit side by side with Latin religious texts and macaronic sermons. Missing from many methodological discussions, however, is a sense of how these different methods and intellectual investments can operate together as a scholarly praxis. How, for instance, can one combine an interest in codicology with an interest in ecocriticism, biographical readings with affect studies, materialist historicism with the new materialisms, philology with new formalism? This conference aims to produce just such symbiotic scholarship. Our goal is not to correct or affirm any specific view or theoretical model. Rather, we wish to experiment with what might result from a scholarly disposition of both/and rather than either/or. We are interested in what makes late medieval texts so profoundly hospitable to such an array of methodological approaches. Our hope, for graduate students, is that this conference will foster sympathy and respect for practitioners of different methodologies at a foundational moment in their intellectual careers. We conceive of the conference as a step towards producing a new generation of scholars in medieval literature and culture who treat practitioners of different methodologies with intellectual sympathy and understanding because they themselves have had to imagine the benefits and assumptions underlying methodologies different from their own. What’s more, by placing different methodologies into self-conscious dialogue with one another, we hope that participants will come away from the conference with new ideas about their own research practices and how to augment their own methodological assumptions in innovative ways.